While creating a web personalization, three choices are available: display the personalization inside the content of your pages, above your pages or via an email. In this article, we will explain how to display a web personalization inside the content of your pages. You can also read our article about personalization above your pages. You can, with Kameleoon, import an image from your computer of from Internet. To select an image, fill in its URL or select a file on your computer. To delete an image already selected, place your cursor above your image and click on the “Delete” button. To keep the dimensions of your file, check the box “Identical to source image”. However, if you want to resize it, check “Resize source image”. The fields “Image width” and “Image height” will appear, allowing you to set up the new size. Warning: these fields are independants. To resize an image homotetically, make sure you filled in the fields correctly. To define the location of your image on the page, you have to indicate a CSS selector. To create a CSS selector, you can ask your developer for help, or use Kameleoon graphic editor. For further information about CSS selectors, please consult our articles Creating a new CSS selector (A/B Testing) and Examples of CSS selectors. If you want to you can choose a URL; users clicking on your image will be redirected to this URL. To do so, simply fill in the URS in the field. The link will open in a new tab if the visitor clicks anywhere on your image. You can also use Kameleoon editor to create your web personalization. This option will be available shortly. To keep yourself informed, check out our blog! If you are also an A/B testing client, you can use the variation you created for your tests in your web personalizations. To do so, simply select the variation of your choice in the drop-down menu. If you are not an A/B testing client and are not interested in A/B testing, you can still use the graphic editor to create variations and use them only for web personalizations. 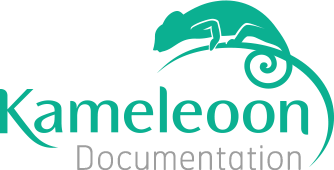 If you need help with Kameleoon editor, you can read our guide Using the graphic editor. If you need to create advanced modifications on your webpages, you can add HTML code. Simply type in or copy and paste your code in the "HTML code" field. To define the location of your element on the page, you have to indicate a CSS selector. If you want to you can choose a URL. Users clicking on your image will be redirected to this URL. To do so, simply type in or copy and paste the URL in the field. //permet de vérifier que jQuery est chargé. Retourne True si c'est le cas, ou False dans le cas contraire. Kameleoon executera cette condition à nouveau toutes les 200ms. You can also use widgets for your web personalizations. For further information about widgets, please read our article Widgets.